Just like with Apex of Fury, the shorter runtime works in the band’s favor. All four tracks here give their just respects to the Scandinavian scene, yet retain that American level of heaviness and feature plenty of bone-crunching riffs and potent, ear-catching melodies. The older, Gothenburg-ian flair of catchy riffs and synth melodies in “The War of Me and I” are accompanied by Carl Morissaint’s harsh and effective growls as well as some enjoyably heavy riffage that delivers a tougher edge than many bands of this variety. There are also some clean vocals that are used, but not in the typical, commercially-leaning direction and give some added contrast in each of the tracks. But make no mistake, as the band takes from the Scandinavian approach, the guitar melodies are the ultimate driver of the material. All four cuts feature energetic and instantly memorable riffs and melodies from start to finish, and given the runtime, it’s easy to simply hit repeat a few times without blinking an eye. 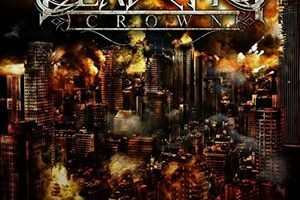 One of those bands that could be an instant new favorite if you spend time on Bandcamp for new releases, Dead City Crown know how to flex their melodeath muscles. 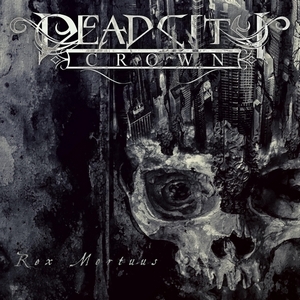 Rex Mortuus continues to lay plenty of promising groundwork for the band, and the band has an approach that’s deserving of a far greater audience. If you enjoy this genre, this is a band you need to get acquainted with.